There are lots of fun activities taking place during the half term break to occupy families who find themselves at a loose end. Shepherds Place Farm is a great day out for all the family. If you would like to get up close and personal with many farmyard favourites, this is the place to do it.the goal is introducing families to a wide variety of animals from home and overseas. The farm is located between 97-99 Akeferry Road, Graizelound in Haxey and has been open since June 2012. They have a new lovely on-site cafe with great low prices serving hot and cold foods, drinks and all manner of snacks and sweets to feed every hungry mouth. Also they have a picnic area if you want to bring your own picnic. Children can enjoy the play areas, take a dive into the sandpit and children can play on the supersized bouncy castle. Learn all about the life cycle of eggs in their ‘eggcellent’ incubator room and get to hold real life chicks. Open until 4pm each day. For more call 01427 754835. There’s always lots to do elsewhere. You can pay a visit to Messingham zoo, Butterwick Road, Messingham, open seven-days-a-week during half term . Here you can get interactive with some of the animals under supervision and there are wallabies, emus, giant tortoise, meerkats, skunks, prairie dogs, foxes and many more. Call 07906 023147 for more. Another great interactive animal centre is Boston Park Farm, open 10am to 4pm each day, at Boston Park Cottage, Bawtry Road, Hatfield Woodhouse. It is still a traditional working farm. Its animal trail allows children to get up close with a wide range of farm animals. You can pet and feed most of the animals and on special days they have animal handling sessions. The whole experience is geared up to suit children up to around 10 years old. There is a soft play area which is suitable for babies and toddlers. Call 01302 844818. February 21, 3.45 pm – 4.45 pm, at Hall Farm - Hall Court, Eastoft, is Farm Club. Suitable for five to 11 year-olds, £3 per session. Here they teach children how to take care of animals, how to grow and prepare their own healthy food and how a real farm works. Also two sessions at Crowle Youth Club February 21. From 5:30 pm – 7:00 pm for thoses aged 10 to 12 and 7.15pm to 8.45pm for 13 to 16 year-olds, at Crowle Community Wellbeing & Youth Hub, Market Place, Crowle. Tomorrow, February 22, there is a session as Epworth Community Wellbeing and Youth Centre offers ‘On Target’ Street Dance, at Epworth Community Wellbeing and Youth Hub - High Street, Epworth, 6pm to 7pm. Call 01724 297270. Also South Axholme Academy 3G Pitch on Burnham Road offers ‘On Target’ football, for eight to 19 year-olds, at South Axholme Academy – Burnham Road, Epworth, call 01724 297 270. Also South Axholme Academy on Burnham Road offers ‘On Target’ Girls Only Football, 6:30 pm – 7:30 pm, at South Axholme Academy, Burnham Road, Epworth. Call 01724 297270 for more. 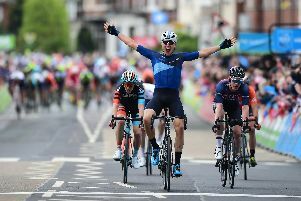 Win VIP tickets for Stage 1 in Doncaster of the Tour de Yorkshire. You may have to travel but there is lots of fresh air fun taking place throughout February at William’s Den at Castle Farm, Wold Hill, North Cave, Brough – with welly walks, assault courses, fire, and shelter building – bringing the indoors out. To find out more visit children and a new archaeology gallery, the North Lincs Museum has a lot to offer. The interactive Go Wild section allows child, but there are also interactive elements available relating to the exhibitions at the time. Visit www.northlincs.gov.uk/tourism-museums-the-arts/north-lincolnshire-museum/visitor-information or call 01724 843533.